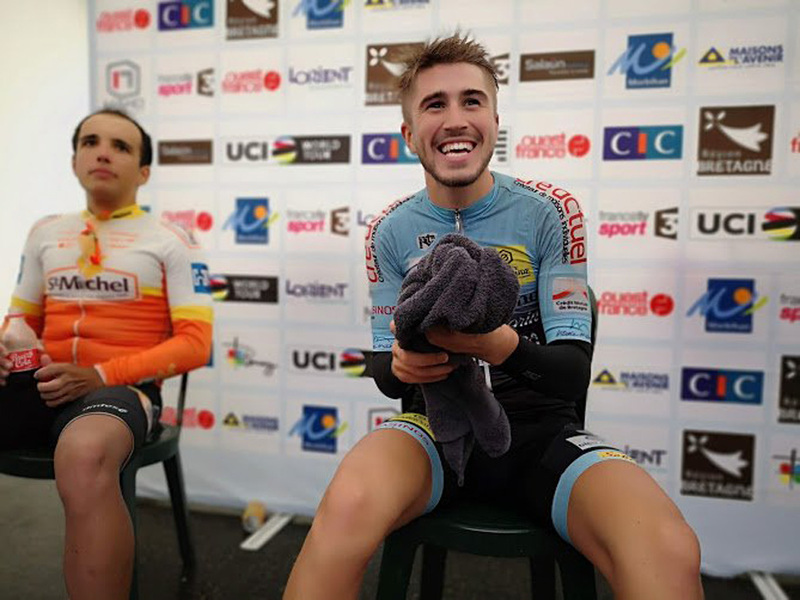 PezCycling News - What's Cool In Road Cycling : Young Gun – Stuart Balfour Gets PEZ’d! Young Gun – Stuart Balfour Gets PEZ’d! 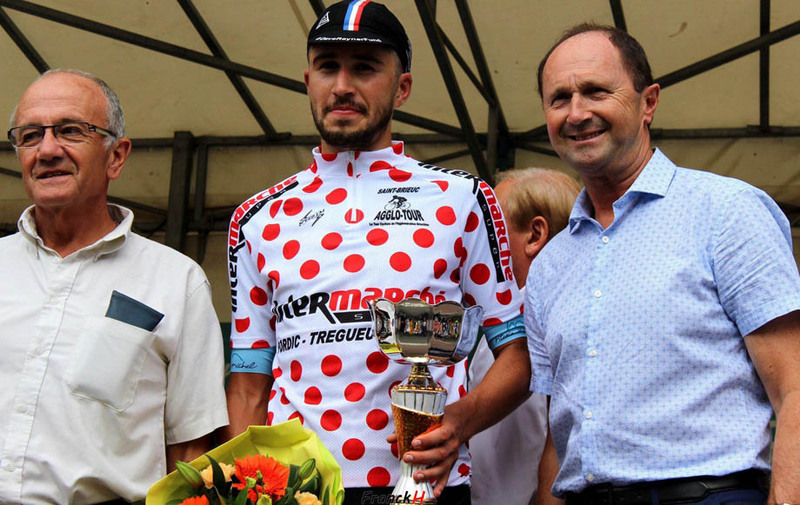 Up there on the list of ‘cult’ races is the GP Plouay, now known as the Bretagne Classic Ouest France; not a race that’s high in the cycling public’s consciousness outside of Brittany but always hard fought on a tough parcours since 1931. The likes of Jean Pierre Danguillaume, Cyrille Guimard, Sean Kelly, the late Frank Vandenbroucke, Pippo Pozzato and Vincenzo Nibali all have their name on the roll of honour. This year the winner was Belgian hard man Oliver Naesen (AG2R-La Mondiale) who shrugged off the rain and took the laurels. 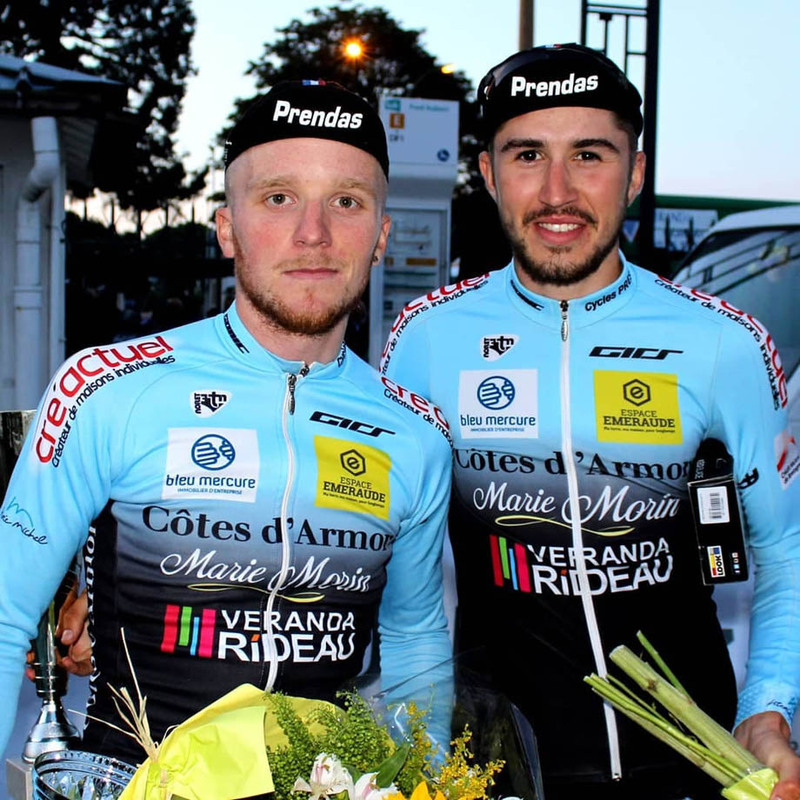 The supporting u23 race is one of the most prestigious in France and the 2018 edition fell to 21 year-old Scotsman, Stuart Balfour who rides for Cotes d’Armor-Marie Morin-Veranda Rideau. 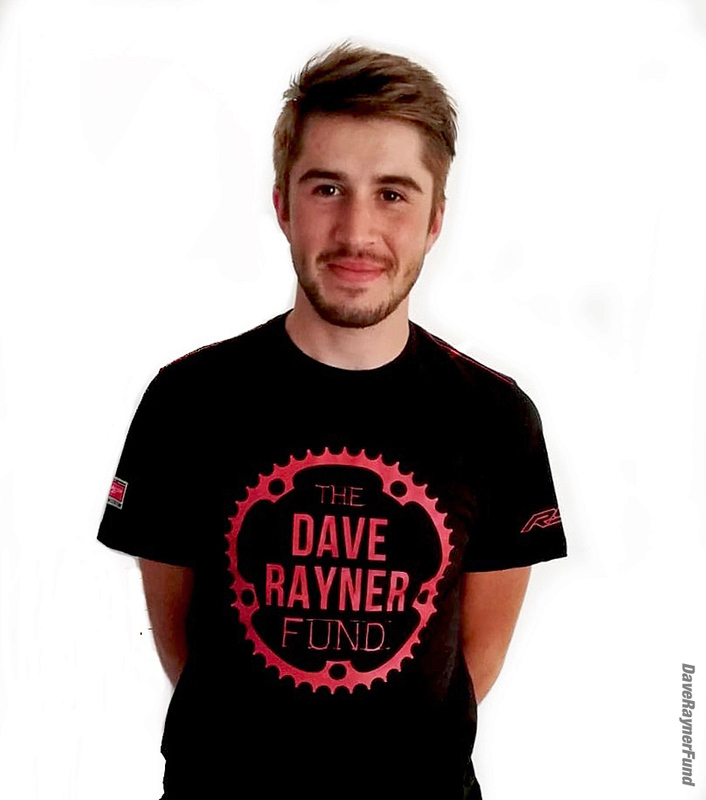 He’s making the most of his David Rayner Fund scholarship which helps young British riders abroad realise their dreams. We just had to ‘have a word’. 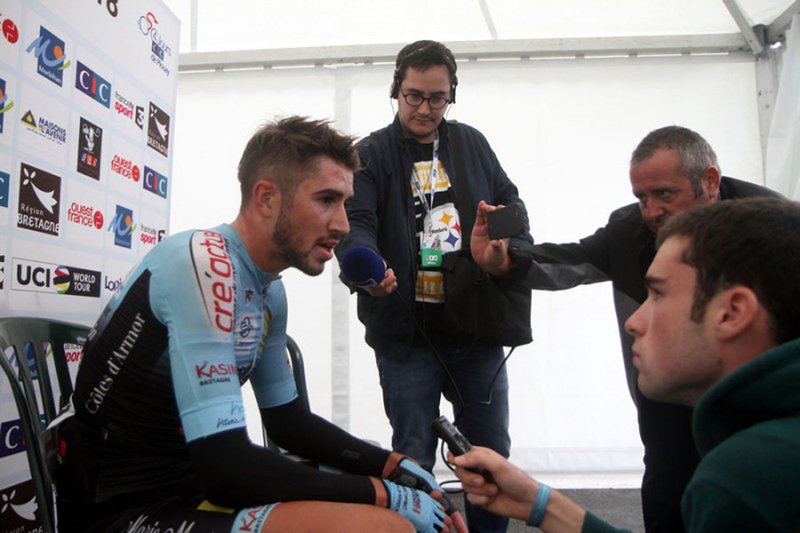 . .
PEZ: Great performance, Stuart - tell us about the race French/UCI category, distance parcours, field? Stuart Balfour: It was a French Elite National, a very well respected and famous race out here. It took place on a 14.7km circuit which we do 10 times. It’s a tough circuit with two climbs which suited me well. 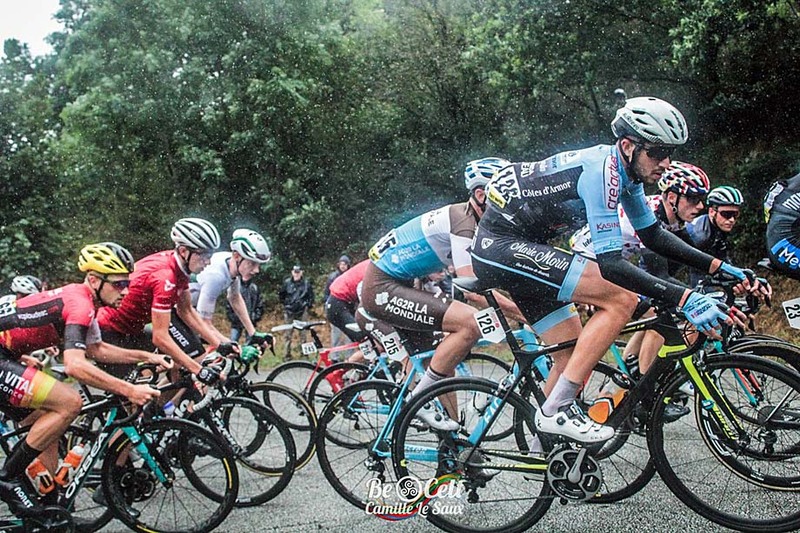 It was a strong field as this race always attracts the strongest riders in the French amateur scene. 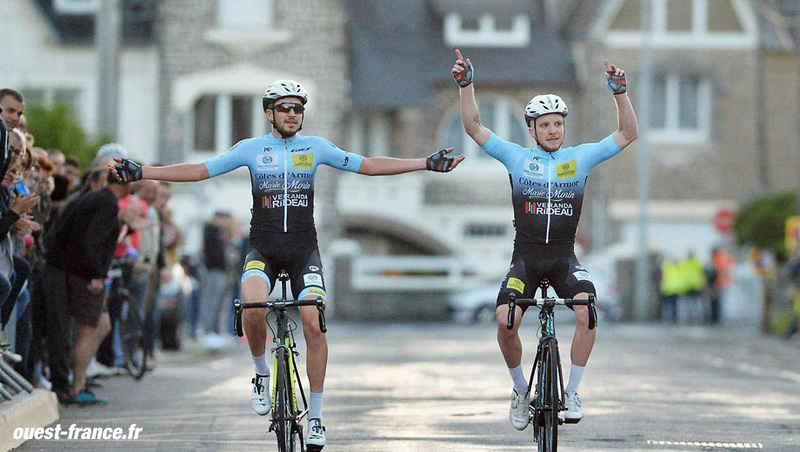 PEZ: Was the race on the same day and parcours as the professionals? It’s on the same day but we arrive before the pros come in. It takes place on the finishing circuit of the Bretagne classic, so we miss out the en ligne section but we do more laps of the circuit. 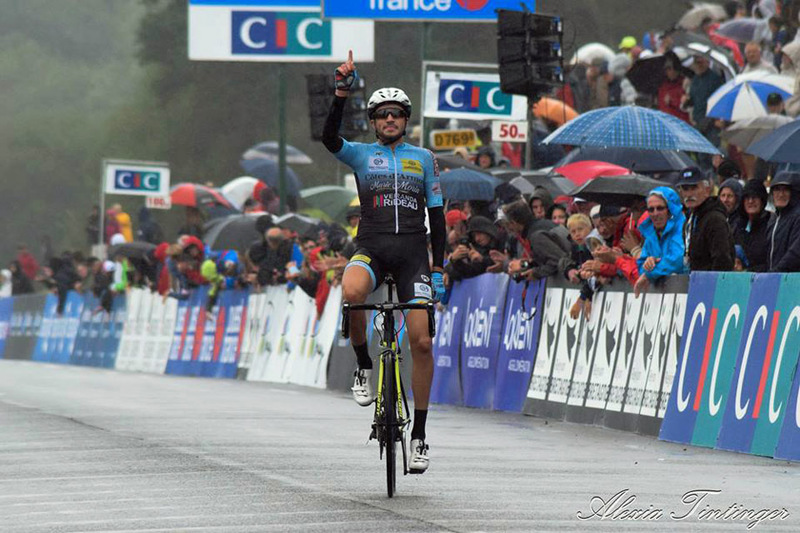 PEZ: How were the conditions - the pro race looked pretty diabolic? The conditions were really tough, it rained the whole day and with really strong winds making it hard at the top end of the circuit. It hit us hard from the side after coming to the top of the first climb. I think there was a lot of people who struggled in the rain but luckily as I am Scottish it was just like a normal day back home so it didn’t really bother me at all. A bit of rain in the race always makes it more exciting in my opinion. PEZ: Talk us through your ride please. The race was full gas from the start, for the first two laps it was a case of following moves and then coming up to the finishing climb the second time a group of around 12 or 15 of us got away. We had myself and one other from the team in it, then a counter attack of around five came across with some race favourites and another one of my teammates. For the last few laps my team mate Jeremy Bescond jumped away with one other so it gave me the chance to sit on the back and get a free ride. He was caught coming on to the finishing climb for the last time. At the top there was a lot of looking at each other and then it started to attack, I managed to jump away solo with just under three kilometres to go and from there it was just head down and put everything in and I managed to get the win. PEZ: This must be one of the biggest wins for the team this year? It is one of the biggest as it is a very famous race out here but the team managed to pull out its biggest win taking the general at the Tour de Bretagne. The team was really happy with my win though and I have got a great response and so many messages of congratulations so it really means a lot. PEZ: How was the prize list? I’m not 100% sure what the prize list will be as I will have to wait to receive it from the FFC at the end of the year, but I think it should be a solid amount. PEZ: Did you get good coverage in the local media? I have had a good response from the local media with quite a few interviews and exposure; I had an interview with Ouest France newspaper which was all in French; the journalist seemed to understand my French so I will take that as my French is improving. PEZ: Did you cut yourself some slack and celebrate. Sadly I couldn’t celebrate too much as a Sunday night in the small town where I live is not particularly lively but I couldn’t allow myself to relax too much as I still have big objectives to finish the year and will keep searching for another win. But it’s safe to say the big bottle of champagne didn’t last too long once we got back to the house. 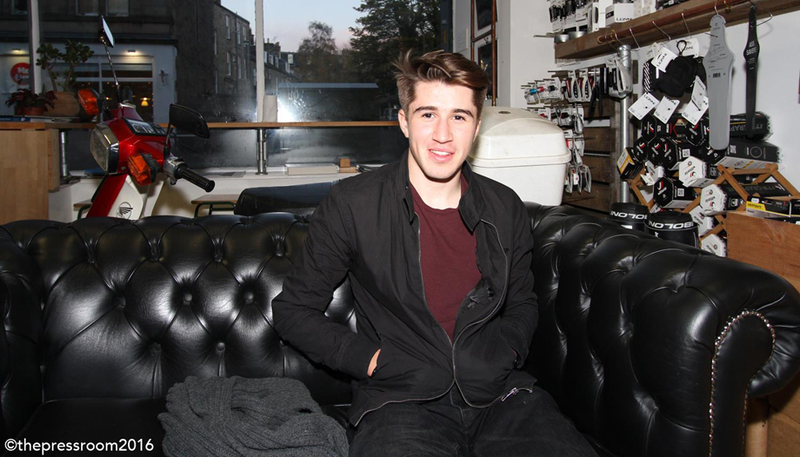 PEZ: How’s the recovery - how did you feel next day? I have managed to recover well and putting in a big weeks training to really get the best out the end of the season, I know I have good form at the moment so that always makes the recovery fast so looking forward to the last block of racing. PEZ: Tell us about your recent excellent win at Montpinchon? 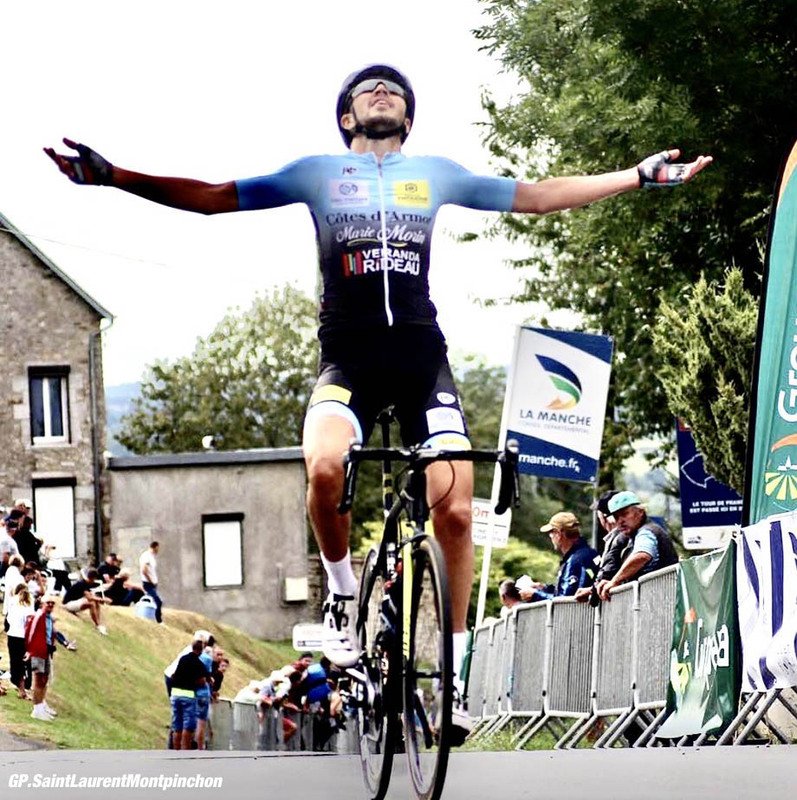 Montpinchon was a big objective for me as I knew the course well and knew that it had the parcours that really suited me with two tough climbs every lap, similar if not tougher that the parcours as Plouay. Again it was savage from the start and a group of us went away early before I attacked with one other with around 25km to go and it came down to the two of us on the final climb where I managed to get the legs to take the win. PEZ: What’s the programme between now and the end of the season? 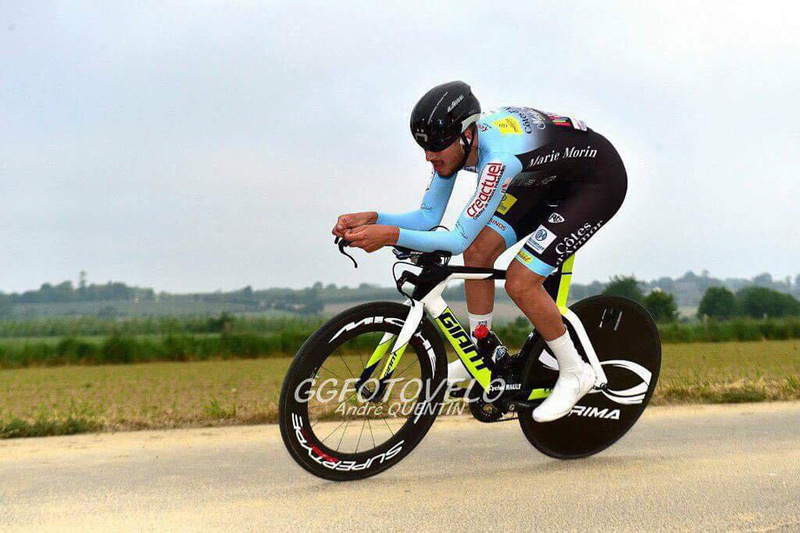 I have GP de Fougeres and the last Coupe de France next week which will be important races for me and then there is the one day Paris classics, finishing with Paris-Tours Espoir to finish the season in October so there is still a good block of high level races left to do. PEZ: How’s the French coming on? The French is coming on well, again this year it has improved a huge amount but it really is a necessity to be able to speak French out here as it’s impossible to get by without it. So if anyone is thinking about coming out here to race I would recommend getting plenty French lessons in over the winter. PEZ: When do you head home and what’s the plan for the winter? I’m still not sure what I will be doing for next season but I am really motivated to step up a level, it had been my goal from the start of the year but obviously it was made a lot more difficult after taking two months out with my broken collarbone, so if I was still able to step up it would make it all the sweeter.